Get a Chance to Win an iPhone 4S with Max’s 4Sharing Meals! Max’s introduced its latest group meal offering called “4Sharing Meals” at their Scout Tuazon branch last Thursday, April 12, 2012. I was there, together with other bloggers and media people, to cover the event. 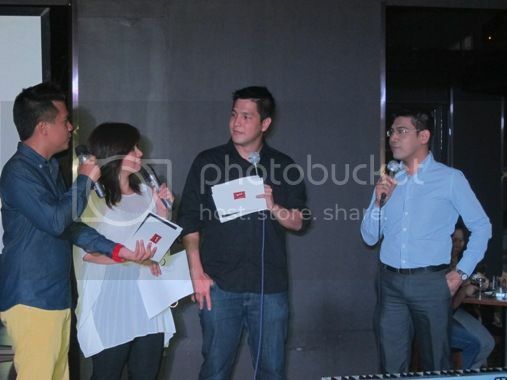 The campaign launch was hosted by Chico, Delamar and Gino. Starting today, April 15, 2012, diners can avail themselves of Max’s most affordable meal bundle good for 4 persons for only Php799. This includes one whole, regular, sarap-to-the-bones Fried Chicken, a bowl of piping hot Sinigang of their choice, four servings of rice and four glasses of iced tea. They’ll get a total savings of Php187 by ordering Max’s 4Sharing Meals. But wait, there’s more! Max’s will be giving away 32 iPhone 4S units to those who will take advantage of their 4Sharing Meals. Four winners will be drawn each week, for a period of 8 weeks! That is cool! To join, just make sure you get your official receipt of your purchase of a 4Sharing Meal and enter the required details in their online form available here. You’ll have one online raffle entry for each 4Sharing Meal you purchased. 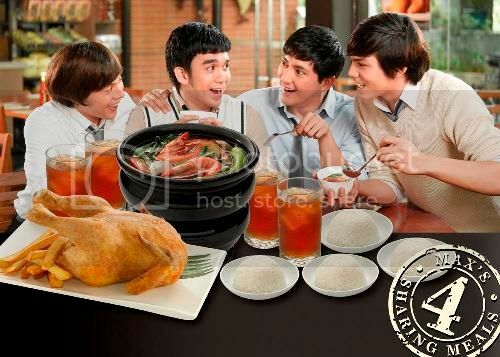 Max’s 4Sharing Group Meal offering will be available for delivery and take-out from April 15 to June 10, 2012 in all of Max’s branches nationwide. Learn more about Max’s 4Sharing Meals by logging on to www.maxschicken.com and visit www.facebook.com/maxsrestaurant to know about the coolest offerings from Max’s. This entry was posted in 4Sharing Meals, iPhone 4S, Max's Restaurant. Bookmark the permalink. 2 Responses to Get a Chance to Win an iPhone 4S with Max’s 4Sharing Meals! that meals looks good.. I love sinigang na baboy and of course, the best ang Max’s chicken!! Also, I started another blog because I messed up my All About Elizabeth blog :(. I will still fix it but for the meantime, un isang blog ko muna ang asikasuhin ko. Pls do drop by when you have time. Di pa siya kumpleto, wala pang header pero in time, I know matatapos ko din un. At maaayos ko din un AAE blog ko.